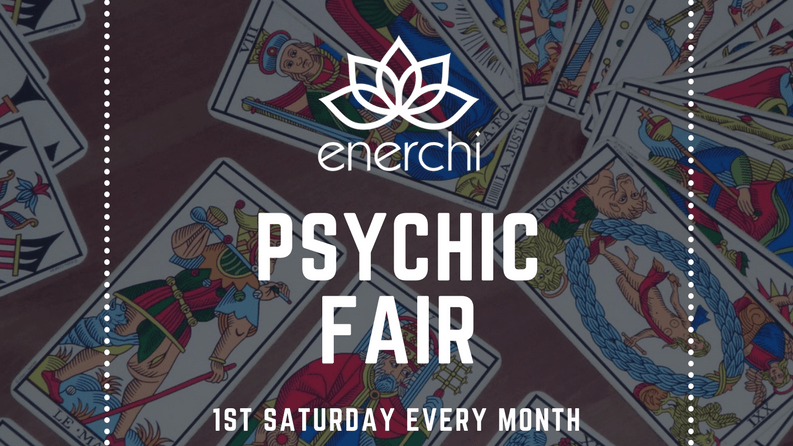 Join us for the Enerchi Psychic Fair on the first Saturday of the month! Find out what lies ahead in your future with one of our skilled readers, or refresh and revitalize your energy body with one of our healers! Sheri, our founder and renown Atlanta psychic featured on TV and radio, has handpicked the best psychics and energy healers in Atlanta and put them all in one room to help you find the clarity and insight you seek. Find out why this is the best psychic fair in Atlanta – join us the first Saturday of every month from 11 AM – 5 PM! Get the insight you need to #unleashyourenerchi. See you there!